In 2004, audiences all over the world were introduced to Preston, Idaho’s very own Napoleon Dynamite. With his flaming red curls, moon boots, illegal government ninja moves and irascible quips, he became an icon. 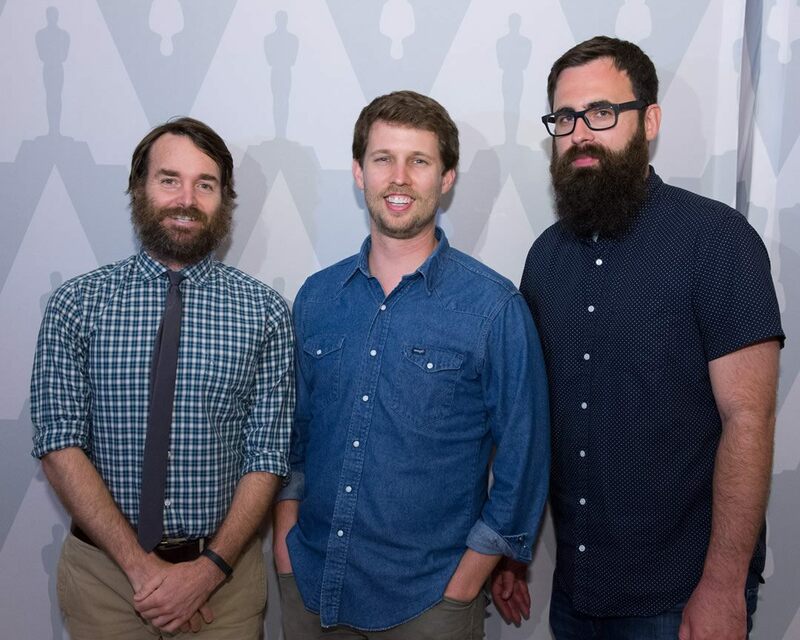 The Academy was honored to welcome Napoleon Dynamite co-writer-director Jared Hess and Jon Heder, the actor who portrayed the film’s Tater Tot-obsessed protagonist. 2004, 89 minutes, color, DCP | Written by Jared Hess, Jerusha Hess; directed by Jared Hess; with Jon Heder, Jon Gries, Aaron Ruell, Efren Ramirez, Tina Majorino, Diedrich Bader. “Vote for Pedro” t-shirts and an enthusiastic crowd greeted director/co-writer Jared Hess and title character actor Jon Heder for a live commentary for Napoleon Dynamite on its tenth anniversary. 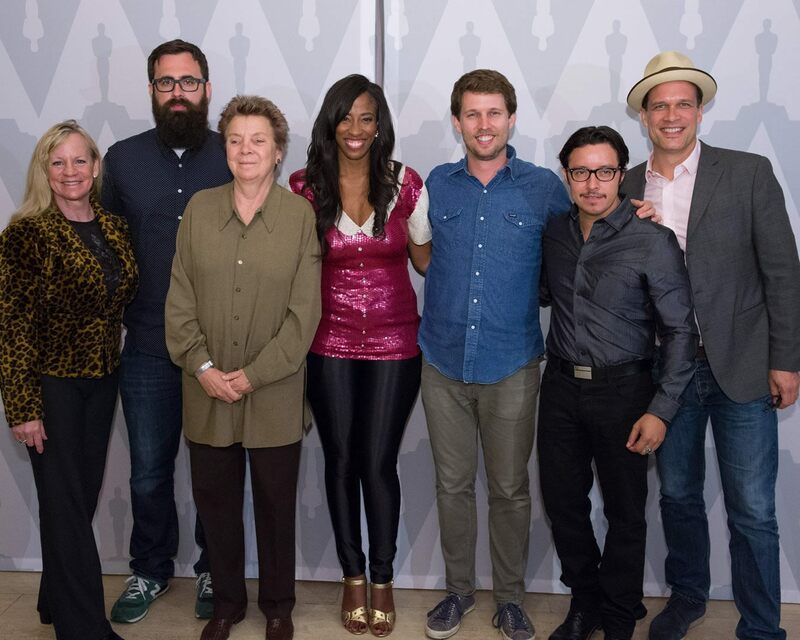 Also in attendance were some other beloved faces from the film including Efren Ramirez (Pedro himself), Shondella Avery (LaFawnduh), Diedrich Bader (“Rex Kown Do!”), Sandy Martin (Grandma), and Carmen Brandy (Starla). 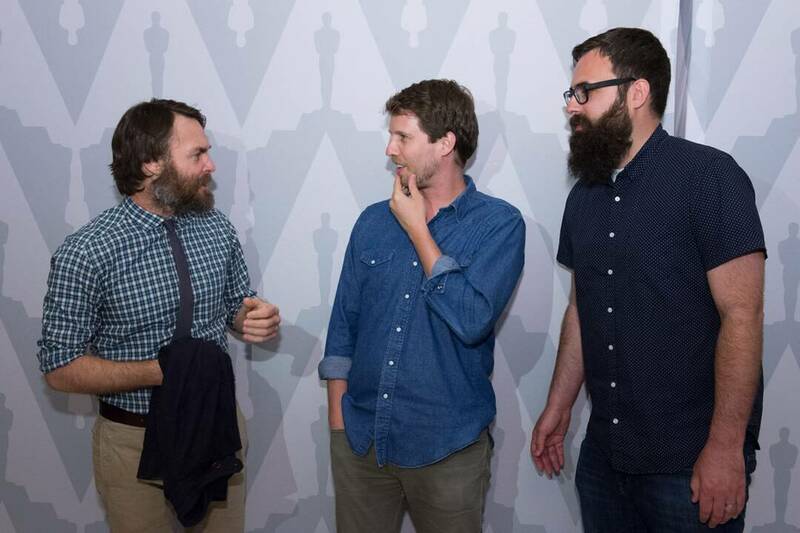 The host for the evening on June 9, 2014 was Will Forte (sporting a bushy beard), an alumnus of Saturday Night Live and actor in films including Nebraska, The Lego Movie, and Hess’s next feature, Don Verdean. This marked the Academy’s second live commentary following last year’s The Princess Bride, another sold out event. Heder actually owned the Sledgehammer bicycle seen in the film, and his stunt pratfall required multiple takes (and injuries). Jon Gries, who plays Uncle Rico, was really a vegetarian and was horrified at the amount of meat he had to eat in the film. The brother of Aaron Ruell (who plays Kip) really bought a time machine online; it looked far less impressive in the film, and all it accomplished was setting off sparks from a plate in his head. During the Napoleon’s day job scene at the chicken farm, you can see a skunk darting into the barn in one shot. The entire film was shot in a mere 22 days, though the opening titles were created later thanks to funding from Fox Searchlight. They also brought in a hand model for some of the title cards due to an “ugly” hangnail on Heder’s hand. Pedro’s head shaving was the last moment to be filmed during regular production. Almost every character sniffs something at least once during the film. Uncle Ricco and Napoleon do it several times. Deb’s puffy dance dress was inspired by Hess’s wife and co-writer, Jerusha Hess, whose mom made her a similar outfit with huge sleeves to compensate for her slim build. In the post-credits wedding scene, LaFawnduh’s family is played by Shondella Avery’s real relatives. An evening full of laughs, great memories, and sweet skills, it was one heck of a birthday party for a modern cinematic legend. Gosh!